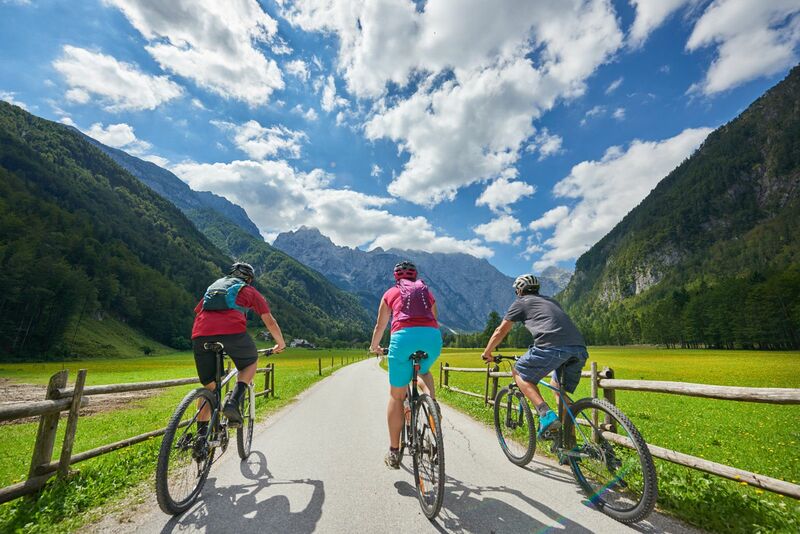 Logarska dolina is a seven-kilometre-long valley where all the beauty of Slovenian’s alpine world comes together. The primeval and numerous natural features regularly attract organisers of boutique and protocol events. It is the only Slovenian valley that can be entirely privatised for an event. As far as we know, there is nothing comparable on a global scale. Nowhere in the whole world can ancestral heritage be experienced in such a direct way. The charm of the Logarska dolina valley is reflected in a primeval environment and numerous natural attractions. The key points are highlighted for groups, whose task is to seek out the attractions, photograph them and earn a culinary surprise. Along the way you will come across the legendary Logar linden trees as well as a real ‘olcar’ who will share out some typical delicacies from his sack. Zgornjesavinjski želodec (Upper Savinja stuffed pig’s stomach) is a geographically-protected cured meat, which has been produced for centuries in the area of the Upper Savinja valley, made from the best meat and bacon from domestically bred pigs. You can try the house speciality at Hotel Plesnik and find out why it also impressed the English King George V and King Alexander. In the barn at the Klemenčic tourist farm, locals will stage special games that are not dissimilar to the Olympics! You can try your hand at fun family games that are based on the cultural heritage of the Solčava region and find out where the real homeland is of the game today known as golf. Thousands of years ago the hunters that lived in Logarska dolina used primitive weapons. You will learn how to handle a real bow and arrow, and a man of the wild will show you other survival skills. Relax in one of the most beautiful alpine wellness centres. Indulge in hedonistic enjoyment in the hotel’s alpine eco wellness centre, whose architecture will subtly transport you into a world of wellbeing and pampering, and you will be charmed by the panoramic views of the Kamnik-Savinja Alps. An evening full of entertaining tales from the Solčava region accompanied by traditional local songs and accordion and zither music. In the bar that has hosted everyone from statespeople to local heroes, the ‘After Party’ is a really special experience. The venue, with its vibrant energy, is yours until the early hours. A typical Savinja breakfast will prepare you for the active morning ahead. From Logarska dolina you will be driven up the Pavlič pass where you will get on a bike and, accompanied by a shepherd-boy, discover the story of the Lintvern dragon and the life of shepherds. Along the way you will visit tourist farms where homemade delicacies await and enjoy the amazing viewpoints along the panoramic road. You can quench your thirst with natural mineral water and delight in the centuries-old forests. Lunch will be served at one of the tourist farms along the panoramic road. Your taste buds will be spoilt by traditional homemade Solčava dishes. You will savour typical dishes that were once enjoyed by shepherds. Learn about the forest wood that has been used in the Solčava region for centuries in a natural way. You will find out why larch is the most valued wood among locals and how to use mountain wood – all of which will prove to be both a useful and interesting event. The forest in the heart of Logarska dolina awaits, full of fairytales, motor-sensory challenges and interesting insights into the meaning of the forest. This blends into a totally unforgettable experience for children, parents and all those with a thirst for adventure and new knowledge. The main traffic artery is the regional road from the Lower Savinja valley. Logarska dolina is 60km from Ljubljana airport. The legendary Hotel Plesnik was the originator of congress tourism in the valley. The Plesnik family have been in the hotel industry for more than 60 years. The hotel is famous for its excellent service and facilities and the fact that guests are ensured discretion and privacy. It is for this reason that distinguished guests frequently visit and spread the good word about the hotel and the valley. It is not far to Jezersko, which was once an important climatic health spa. At almost 1000 metres above sea-level, you will discover yet another picturesque Slovenian landscape, which is reminiscent of a piece of paradise and really is a utopia for hikers. There are also plenty of interesting and active incentive programmes for groups. Although today the valley is mostly an excursion destination, in the future it has great potential to also become an important Slovenian incentive destination. It is difficult to find another part of Slovenia that has so many incentive gems crammed into a small area. Rafting on the Savinja river is highly recommended, too. A journey along the calm river is possible from May to October, with the whole programme lasting in excess of two hours.